Welcome friends ! today we will show you a important cool trick about Android. 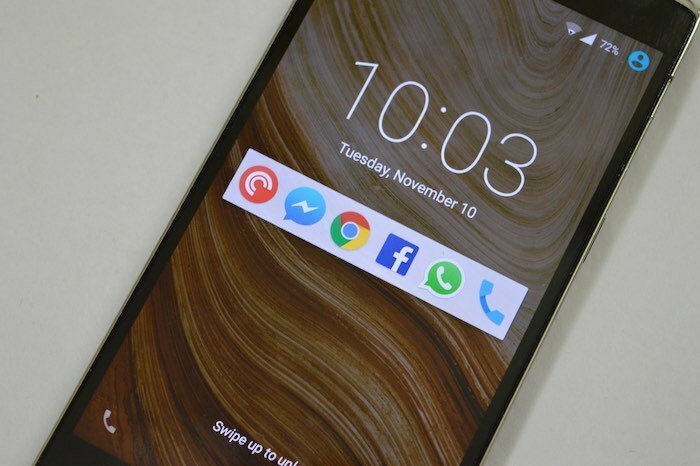 The trick is about how to launch your favorite apps from android lockscreen. One of my favorite features of Lollipop is notifications on the lockscreen. without unlocking my phone i can do many thing such as I can swipe unnecessary notifications in a jiffy and turn an important notification into something actionable. You also can do many thing without unlock your smartphone. And if that wasn’t enough, I soon found that all those sticky notification widget apps for toggling notification and launching apps showed up right in the lockscreen. So, let’s know about it. We are going to show the step-by-step guide of two android tutorials that will help you to launch your apps directly from your lock screen. Through this trick you can access your favorite apps directly from your lock screen as well as notification panel. To reach an application, you must unlock your screen and jumble among the various pages available from your home screen. To start your second application you need to implement multitasking, you must return again to the Home screen and start the search procedure and so on. But there are simpler solutions that could ease your app accessibility. There is an interesting and effective as it gives you the opportunity to launch your frequently used applications from the lock screen or via the flap notifications and the application name is Launchify. Launchify will conclude what services you use most often and place them in areas shortcuts, however, it will not stop either that way. It will add shortcuts to your applications on both the lock screens and the notifications panel. It may also resolve which applications to place in the shortened depending on your location, be it your home or workplace. Multitasking- It offers you to swaps between the apps from your notification panel which is sure to ease your workload. It is Intelligent- It offers you the right app in the right time, that depends on your time and place. It remembers the apps and the time you usually use them and brings you the recommended app next time. Quick access- It gives you quick access to the app that you need most on your lock screen as well as notification panel. At first you need to go to play store and download the Launchify app. You can download Launchify from HERE. After download open the app. After you open the app Launchify will ask you to Allow Launchify to track your app usage by enabling usage access . Now you need to click on Ok.
Now click on Setting icon which is located in the top right corner. After that you need to enable three option there which is Notification Icon on Top, Notification, Background Tracking. After enabling the options you need to restart your phone. After the reboot, you can easily access your favourite apps on you notification panel as well as lock screen. Through this simple steps you can easily access your favorite apps from your android lockscreens. Hope you understand and at the same time enjoyed the trick. Stay with us to get more from us.